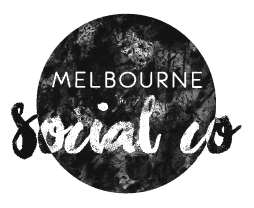 Here at Melbourne Social Co, we’re always on the look out for talented interns to work with our team. Interns that work with our team will assist in creating and distributing amazing content for Melbourne Social Co and our in-house brands, The Daily Fluff and The Social Co Academy. This flexible internship program is perfect for somebody who is looking to pursue a career in digital marketing and who wants to further their skills and knowledge with our team. The perfect intern will have a passion for writing and creating engaging content, an eye for detail, and will be bursting with ideas and initiative. We’re looking for up and coming marketers who can spare 1 day a week over a 12 week period, and who are passionate about our industry and hungry to learn and grow with our team. This internship would suit those currently studying a relevent degree, or anyone excited about becoming.a social media marketing guru. This role is an unpaid, voluntary position spanning a 12 week period. Love of food, fashion, coffee and pets!